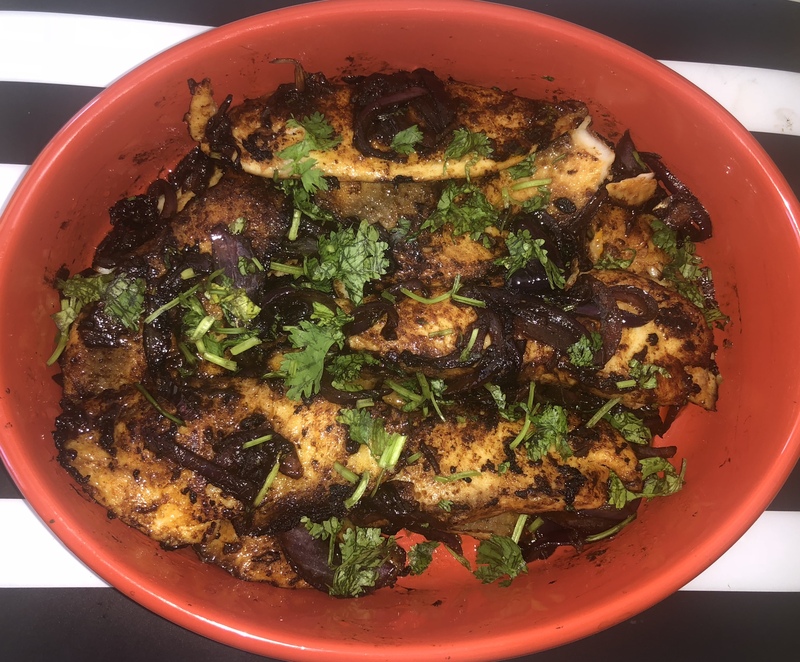 Quick Tasty Spicy Tilapia RecipeClick To TweetWhile entertaining the guests with a full course meal, fish is a must have dish. But as usual I need a quick recipe which is full of flavor and it can be made spicy as necessary. Marinate the filet with salt, 2 teaspoons of garlic, 1/2 teaspoon of cumin powder, 2 teaspoons of tomato ketchup, 1/2 teaspoon of red chili powder and keep it in the fridge for 30 min. In a separate pan, heat 2 teaspoons of oil. Add 1 teaspoon of garlic and let it fry for 1 min. Add the onion in the pan and fry the onion. Add Soy sauce and 1/2 teaspoon of chili powder. In a serving bowl, layer the fish, fried onion and rest of the fresh cilantro. Create a couple of layers like this. The fish is ready to serve. Have you ever felt guilt for not serving enough veggies to the kids for a meal? My kids love to eat hot dog. But whenever I serve them hot dog, I try to serve veggies on the side. 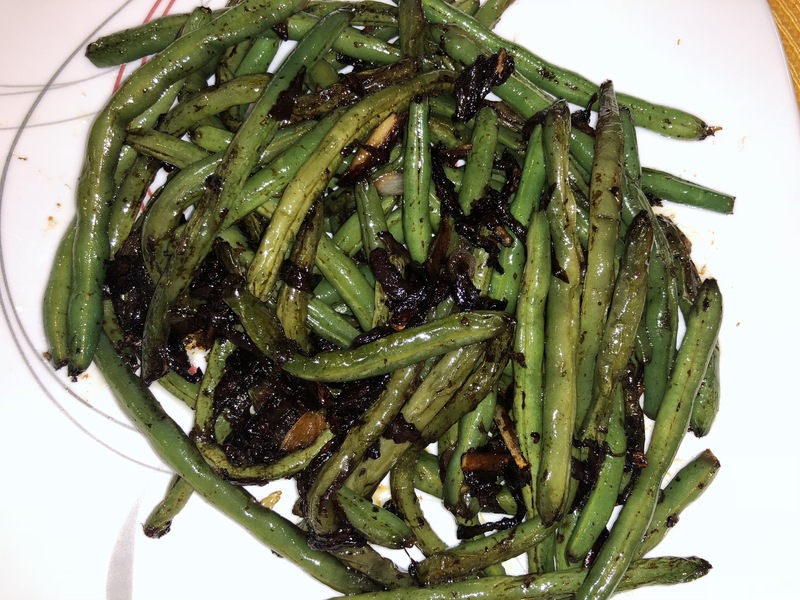 This Chinese style green beans is a quick, tasty recipe for serving green beans. We all enjoy it as a side dish with any protein or with white rice. Heat oil in a skillet. If you have sesame oil that would be even better. Add the Green Beans and Fry it for 10 min or until the beans are cooked. Make sure that the green beans are not overcooked. It is important that that the beans are little crunchy and retails the bright green color. If the beans are overcooked, it will lose the bright green color. Add ginger and cook it for 1 min. Add salt only if it is needed. Soy sauce and oyster sauce contains salt anyway. Poppy seed paste is a delicacy in the province of Bardhaman, West Bengal, India. Potato, onion are commonly cooked with poppy seed paste. 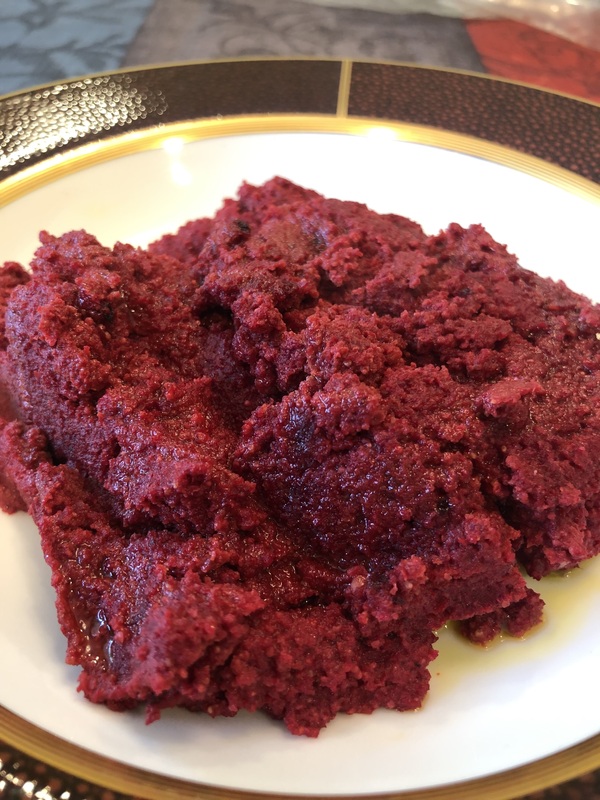 But today I will share a delicious recipe of poppy seed cooked with Beetroot. On a week night, it is an easy way to cook the vegetable for dinner and serve it with rice. Blending poppy seed to a smooth paste can be a challenge. Any smaller blender would be helpful. I use the Magic Bullet blender to make a perfect paste of poppy seeds. For blending the Beetroot any blender will work. However I had invested on an expenseive BlendTec blender but it definitely pays off. Grind Beetroot: Cut the beetroot in cubed pieces. Grind it in a grinder to make a paste. Drop a couple of green chili’s to make it hot and spicy. On a non stick pan, heat mustard oil. If mustard oil is not available, then use any other cooking oil like Canola or cooking olive oil. Pour the beetroot paste and dry it up. Add poppy seed paste and cook it with the beetroot paste. Add salt to taste. Add red chili powder to make it spicy if needed. After transferring to serving bowl pour a teaspoon of mustard oil on top (optional). Serve with White rice or brown rice. On a weeknight when I am scrambling through the fridge and the pantry for the vegetable to serve for dinner, half a slice of Butternut squash can be a savior. 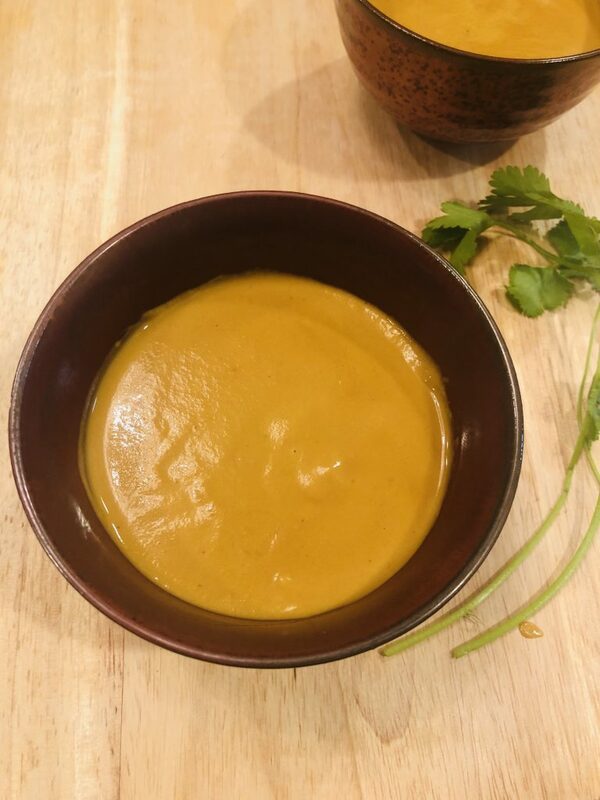 A tasty Butternut Squash scoop can be made ready very easily. Heat the oven to 400 degree F. Drizzle olive oil. salt and pepper on top of the butternut squash half and grill it in the oven for 20 min. Turn the side of the squash after 10 min. In the stove, fry onion, ginger, garlic. Add the cumin and red chili powder. Add the coconut milk and the broth. Peel the skin of the butternut squash and cut it in small pieces. Add the butternut squash to the mixture being cooed on the stove top. 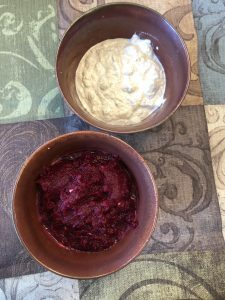 Use a hand mixer or any Vita-mix kind of mixer to make a puree.